Kinsta is one of the most interesting hosting companies currently on the market. It provides a bold and new solution for a common problem: secure and scalable WordPress hosting. Since its start in 2013, Kinsta has rapidly gained traction and broken into the elite club of the highest performing WordPress host worldwide. 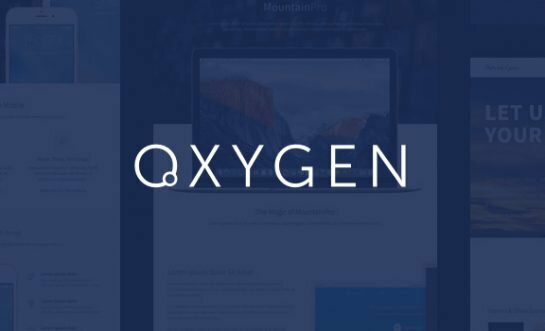 They do almost everything differently than a regular WordPress host and their impressive (under 5%) customer churn rate shows their clients love it. 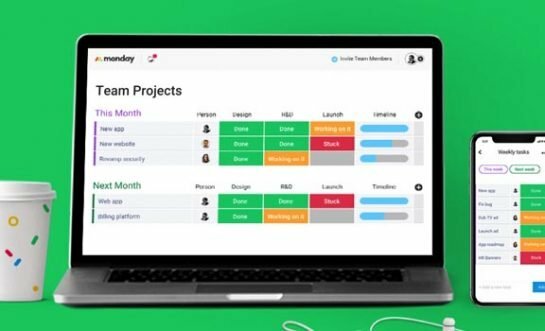 How does Kinsta’s unique solution look like? Google Cloud Platform, multi-regional deployment, containerized WordPress sites, Nginx servers, expert support, just to name a few. In this review, we’ll take a closer look at Kinsta’s hosting service so that you can decide if they’re really worth their salt. 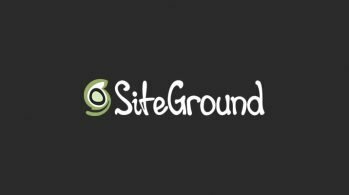 Most hosting companies try to give as many options to their customers as possible, and many of them, from SiteGround to A2 Hosting, do really well. Kinsta, however, took a different route. They offer neither shared nor VPS hosting plans. Kinsta exclusively provides managed hosting for WordPress sites—any kind of WordPress sites. Their solution is well-designed and professional and takes care of every aspect of WordPress hosting. When you pay for shared hosting, your WordPress site resides on a server you share with many other clients of the hosting company. Performance issues happening on other sites hosted on the same server also affect your site. In case of traffic surges, your host might even throttle (restrict maximum throughput or the number of simultaneous visits) your site. At most hosting companies, you can choose self-managed VPS (Virtual Private Server) hosting as an alternative to shared hosting. Here, you get root access to your server and have your own dedicated resources such as memory and CPU. This solution comes with clearly better performance and less downtime but you have to manage everything by yourself. 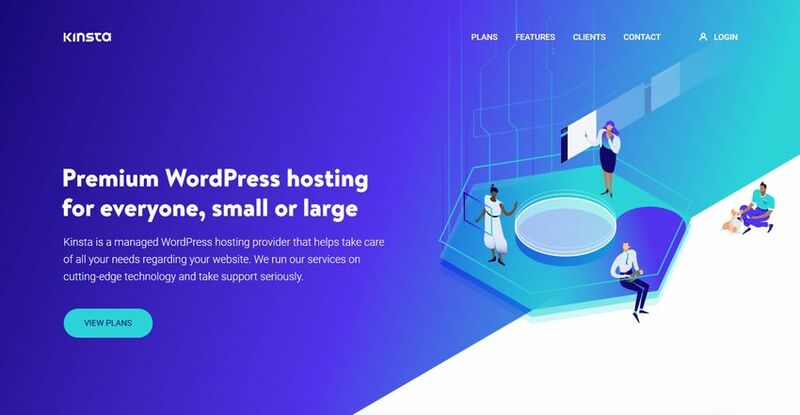 Kinsta’s managed WordPress hosting service solves the problems of both shared and VPS hosting. While they provide you with your own isolated and secure resources, a professional technical team takes care of everything. They optimize your site for high performance by using different kinds of caching and Kinsta CDN, automatically updating your whole infrastructure with the latest versions of software (PHP 7.x, MariaDB, Nginx, etc. ), and running your site on Google Cloud Platform’s premium tier network. Kinsta’s servers run exclusively on the premium tier of Google Cloud Platform (GCP) that delivers maximum flexibility and scalability for high-traffic websites. Each WordPress site is isolated in its own container that includes all the necessary software: Linux OS, an Nginx (Engine-X) server, a PHP application server, and a MySQL database. Your resources are private and you don’t have to share them with anyone else. This is also true of your own sites. For instance, if you host two WordPress sites at Kinsta, they run completely separate from each other. On the image below, you can see how Kinsta’s architecture looks like. Each of your sites is isolated in a Linux Container (LXC), managed by an LXD (Linux Daemon) host that runs on a Google Compute Engine virtual machine in one of GCP’s global data centers. Google Compute Engine’s virtual machines can use up to 96 CPUs and hundreds of GBs of RAM, so your containers can scale up and down automatically, as needed. As a result, sites hosted by Kinsta stay online even during heavy traffic surges (see a related case study about how their solution scaled for DARTDrones’ Shark Tank Effect). 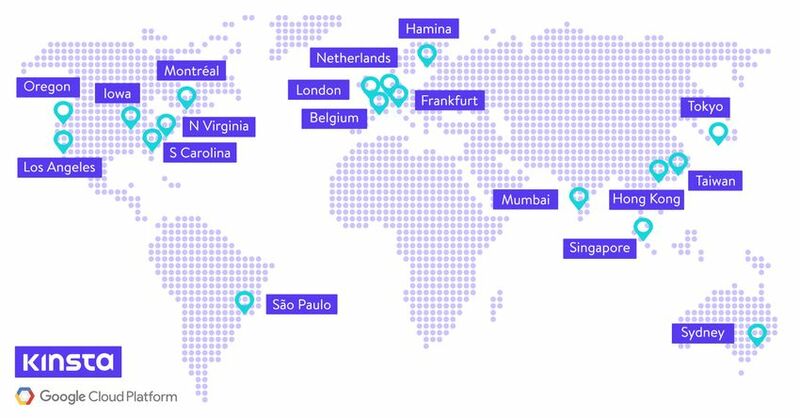 Kinsta also makes use of Google Cloud Platform’s multi-regional deployment mode. You can choose from 18 data center locations around the world and even pick a different location for each of your WordPress sites. Kinsta’s managed WordPress hosting service comes with multiple security features. They use New Relic to monitor your sites for uptime every 2 minutes, which means 720 uptime checks per day in total. They also detect DDoS (Distributed Denial of Service) attacks and proactively stop malicious code on the network level. Malware scanning daemons are constantly running in the background and the network is protected by hardware firewalls, too. You don’t have to worry about backups, either, as Kinsta creates automatic backups on a daily basis. Depending on your plan, you get access to at least 14 days of backups at any time. So, your site can instantly be rolled back to a previous version whenever it’s necessary. Kinsta also supports two-factor authentication, GeoIP blocking, and automatically ban IPs in case of more than 6 failed login attempts per minute. In addition, you get a hack fix guarantee. If anything bad happens to your site security-wise, Kinsta fixes it for free. Kinsta’s complex security system eliminates the need for security plugins. They even ban certain security (and other) plugins that are incompatible with their environment. For instance, you can’t use WordFence, as its live scanning feature might cause performance issues, but you can use Sucuri and Cloudflare on your sites. As Kinsta wasn’t a big fan of cPanel and Plesk, they built their own control panel solution called MyKinsta. Its well-structured and clean user interface makes site management an intuitive experience. On the dashboard, you get a quick overview of all your sites and the most important stats like resource usage, visitor analytics, and invoice details. 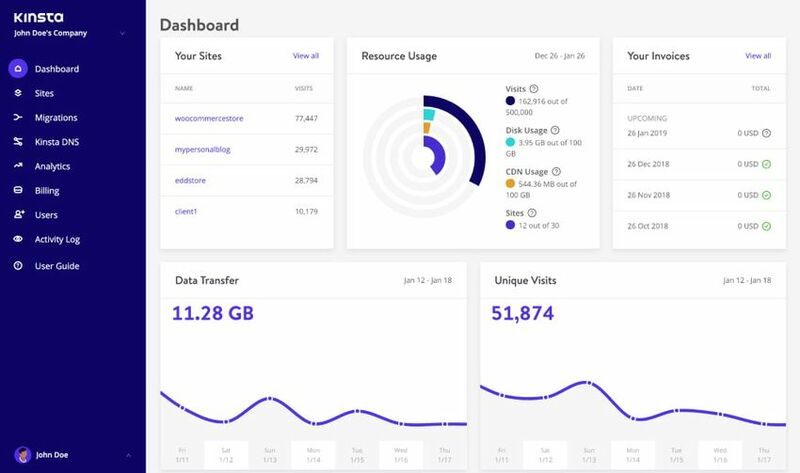 The MyKinsta dashboard also includes a cool site migration wizard and analytics about every aspect of your sites such as cache and security, CDN usage, dispersion, and other metrics. You can set up a free Let’s Encrypt SSL certificate, purge site cache, and create a staging site with just a single click. New Relic’s PHP monitoring dashboard is integrated right into MyKinsta’s interface as well. Web design and development agencies can also take advantage of Kinsta’s managed hosting platform. For example, SkyrocketWP hosts all their clients’ websites with Kinsta—in total, over 100 WordPress sites. Since they moved to Kinsta, they can offer page load speed guarantee and other top-tier services to their own clients. Agencies can manage their clients’ websites by creating a company in MyKinsta for each of them. 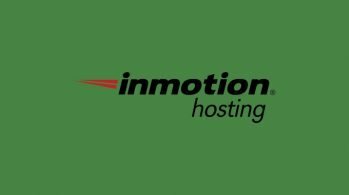 This solution is different from reseller hosting, as your customers won’t have access to their hosting accounts. 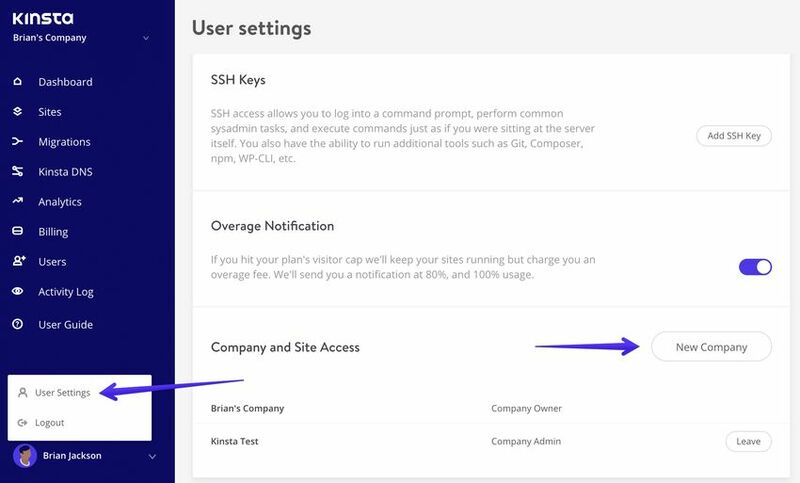 So, Kinsta can optimize their sites for security and performance, while you don’t have to worry that they are messing around with their server or other settings. Kinsta also allows you to white-label your clients’ WordPress admin areas. This way they won’t see any Kinsta-related branding, so you can advertise Kinsta’s top-notch solutions as your own service. Up from the Pro plan, you can also use WordPress multisite installations and the Kinsta team even helps you set it up properly. Although Kinsta doesn’t offer a reseller hosting plan, they have a very friendly affiliate program. It allows you to earn up to $500.00 for each referral, together with 10% monthly lifetime commissions. Kinsta has ample experience with the WooCommerce platform, too. 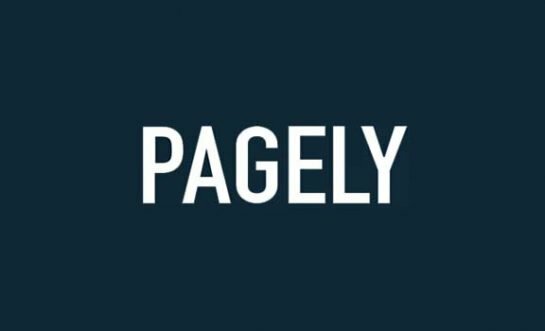 They host, maintain, and troubleshoot popular WooCommerce stores that process thousands of orders every day, such as Swagway. Besides all the features you get with their managed WordPress hosting plans, Kinsta’s WooCommerce hosting also brings you a couple of eCommerce-related optimizations. For example, they provide you with WooCommerce-friendly caching that automatically excludes cart, checkout, and other highly dynamic pages from the caching mechanism. Plans up from the Pro also come with free WooCommerce site migrations, managed by Kinsta’s support engineers. So, you don’t have to worry that your sales and customer data get lost or compromised during the migration process. Kinsta is praised industry-wide for their stellar and professional customer support. 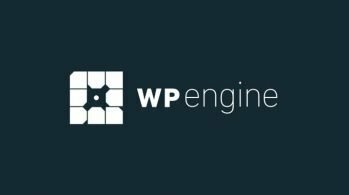 All members of the support team are WordPress and Linux developers who regularly contribute to the WordPress Core. As they don’t deal with any other software, their knowledge is always up-to-date and specific to WordPress-related problems. Unlike other hosting companies, Kinsta doesn’t have different tiers of support. Once you submit a support ticket, you get a fully qualified engineer who helps you solve your problem from the beginning to the end. Kinsta’s average ticket response time is less than 5 minutes. The support team is also available via chat 24/7/365, right from your MyKinsta dashboard. Kinsta’s unique approach to WordPress hosting has many advantages compared to shared and VPS hosting. You get isolated resources that scale up and down automatically, while your site is managed by a professional team. Kinsta also has an impressive software and hardware stack built of top-notch tools such as Google Cloud Platform, KeyCDN, and New Relic. As plans start at $30.00/month, Kinsta might be an overkill for a small blog or portfolio site. However, if you expect your business to grow or already have a heavy-traffic website you can hardly find a better solution currently on the market. Kinsta offers a 30-day money-back guarantee, so you can try it without any risk. If you still want to know more, have a look at their case studies archive to see how they helped other businesses solve their problems.